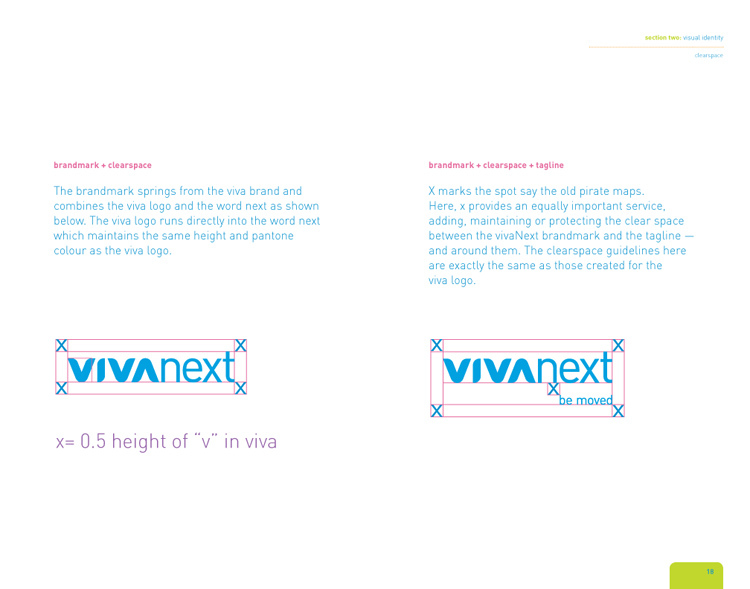 vivanext Styleguide - Segovia Advertising & Design Inc. 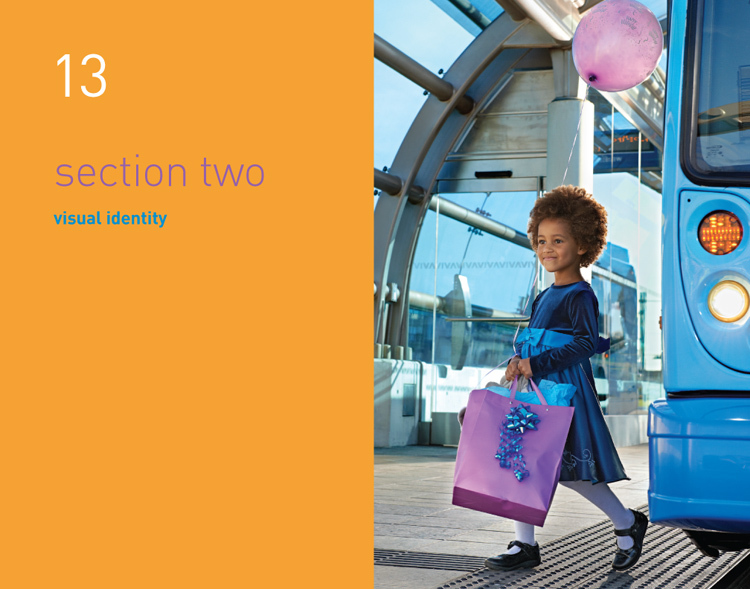 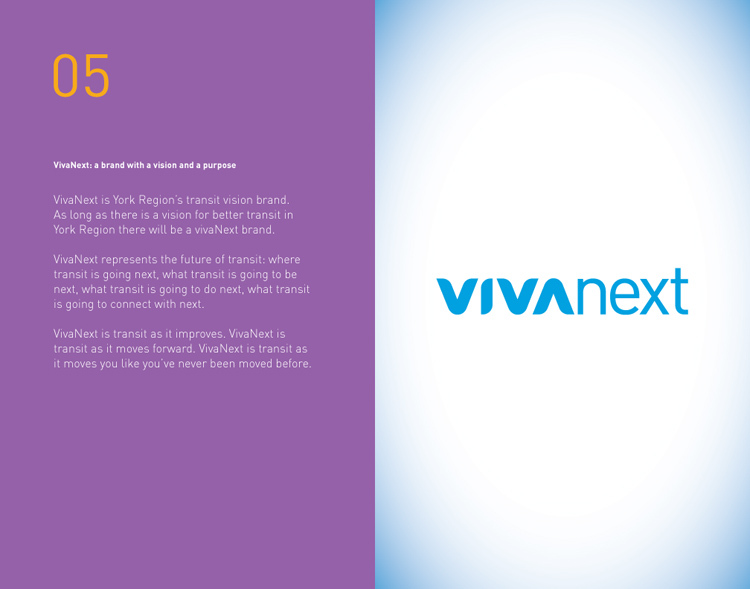 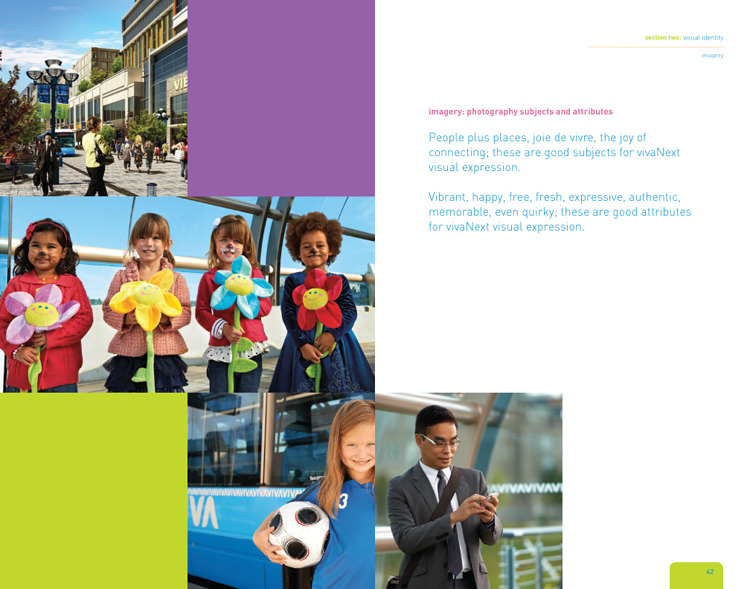 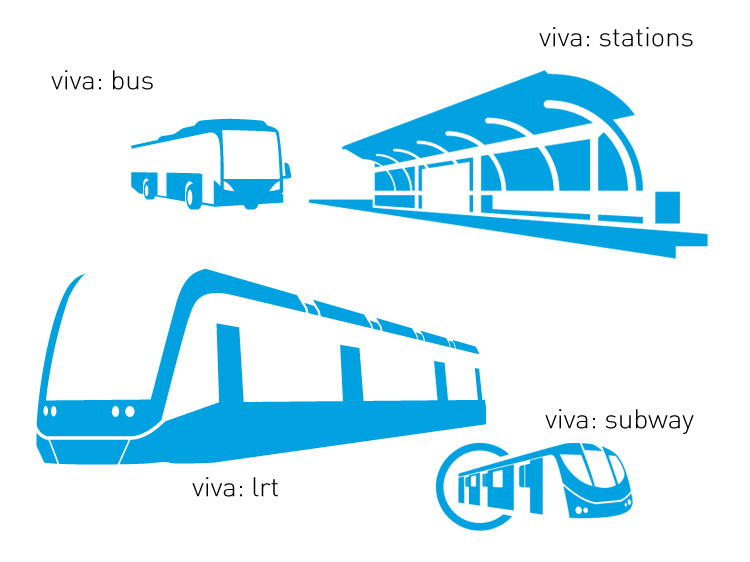 This brand styleguide was developed for viva/York Region Transit. 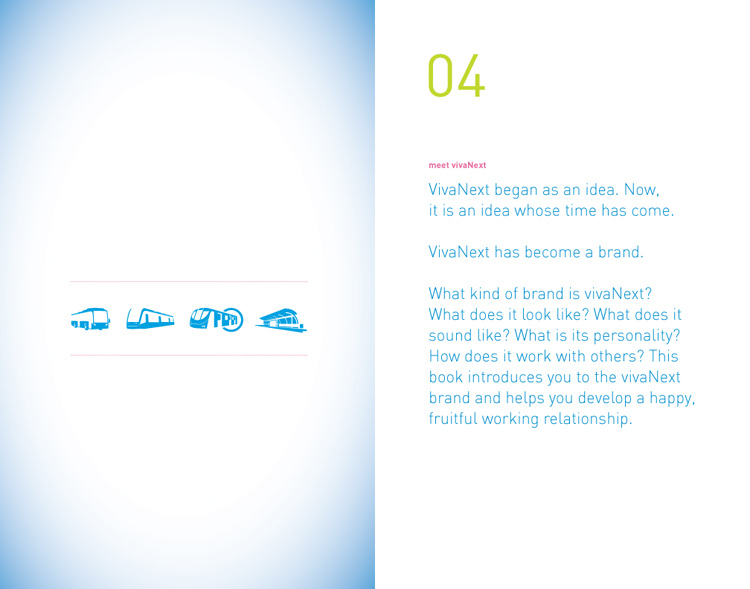 This entailed a thorough brand strategy and brand guideline development for the sub brand vivanext. 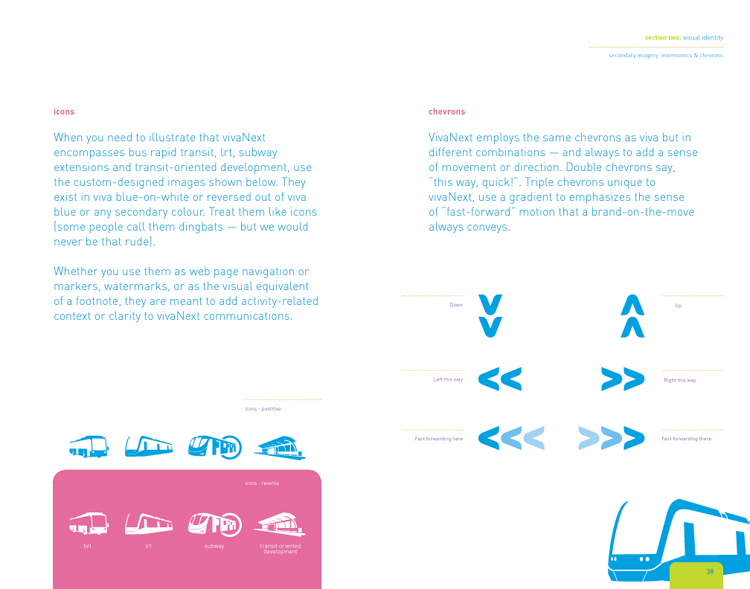 Segovia followed a disciplined regiment of creating rules for brandmark usage, as well as creating other design standards in areas of typography, colour, logo versioning and secondary design imagery. 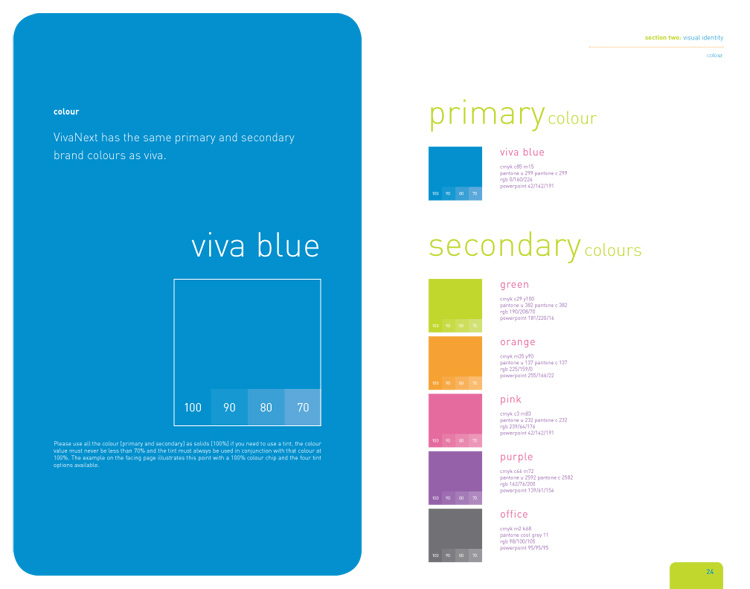 Icons and infographics were developed evolving and extending from the mother viva brand.